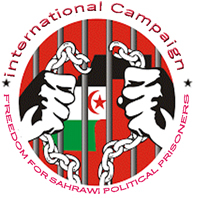 Chahid El Hafed (Sahrawi Refugee Camps)- May 16, 2018 (SPS) - The Frente POLISARIO strongly condemned Monday the Moroccan irresponsible, shameless and false allegations which show “Morocco’s attempts to shirk the implementation of the decision of the Security Council 2414 to continue direct negotiations between the two sides (Frente POLISARIO and Morocco). Montevideo, May 16, 2018 (SPS) - The Federation of University Students of Uruguay (ASCEEP-FEUU), has expressed its solidarity with the just cause of the Saharawi people in a communiqué of the Federal Council of the Uruguayan student organization. The Uruguayan student organization praised the enormous will of the Saharawi people to achieve "the objective of their self-determination and to end the criminal actions of the Kingdom of Morocco". Algiers, May 15, 2018 (SPS) - The General Director of Algerian Press Agency (APS), Mr. Abdelhamid Kacha, received on Monday the Saharawi Ambassador in Algeria, Mr. Abdelkader Taleb Omar, accompanied by the Director of the Saharawi News Agency (SPS), Mr. Saleh Nafee. Windhoek (NAMIBIA), May 15, 2018 (SPS) -the Minister of Foreign Affairs, Mohammed Salem Ould Salek, was received Monday by the President of Namibia, Dr. Hage Gottfried Geingob, to whom he delivered a message from his brother, President Brahim Gali. Lisbon, May 14, 2018 (SPS) - Portuguese Parliament has approved a motion of support for Sahrawi people in their struggle for independence, and in which the MPs called on the government to promote an action in favour of the right of Sahrawis to self-determination, said local media. Shaheed El-Hafed, May 14, 2018 (SPS) - The Polisario Front expressed its strong condemnation of irresponsible Moroccan actions, based on blatant defamation and systematic lies. Algiers, May 13, 2018 (SPS)-Algeria on Sunday expressed its “firm condemnation” and “total rejection” of Moroccan Foreign Minister’s irresponsible statements against it, Spokesperson of the Foreign Ministry Abdelaziz Benali Cherif said in a statement. “Algeria expresses its firm condemnation and total rejection of Moroccan Foreign Minister’s irresponsible statements against it and cooperation, in an interview with a Parisian weekly,” stressed Benali Cherif. Algiers, May 13, 2018 (SPS) – Journalist and opponent of Morocco's monarchy Ali Lmrabet said Sunday that Morocco, through its decision to severe the diplomatic relations with Iran following the alleged support of Teheran to the Polisario Front seeks to damage the image of the Sahrawi activists in the eyes of Washington and attracting the wrath of the US Administration, under President Donald Trump. Havana, May 12, 2018 (SPS) - Deputy Minister of Foreign Affairs of Cuba, Marcelino Medina, has reiterated Cuba’s support for the right of the Saharawi people to self-determination, during a meeting with the President of the National Council, Khatri Addouh. Havana, May 12, 2018 (SPS) - Cuba Vice-President, Salvador Valdés, has received the President of the National Council, Jatri Adduh, who concludes Saturday an official visit to the Caribbean island. During the meeting, they highlighted the bonds of friendship, solidarity and cooperation that unite Cuba and the Sahrawi Arab Democratic Republic.